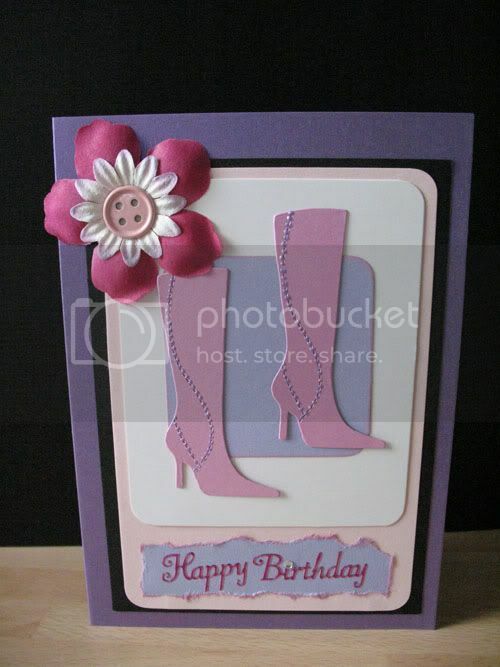 Well Last night i made 4 Girly Birthday Cards, All in 1 Hour!!! - I shocked myself at how good they came out, Well not fully Pleased with the last card ( seen below ), Think i was starting to get a bit tired at that point. 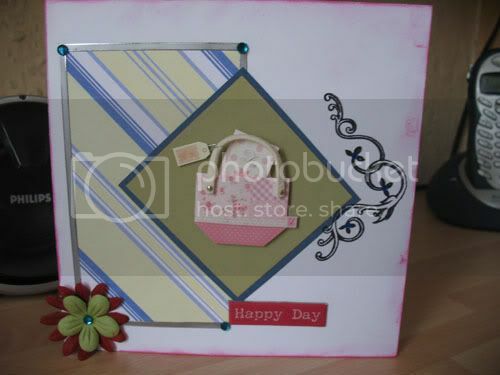 All i did was simply add it to a Card blank, Add the peel off's at the bottom and added a couple of Gem Stones - And Viola! 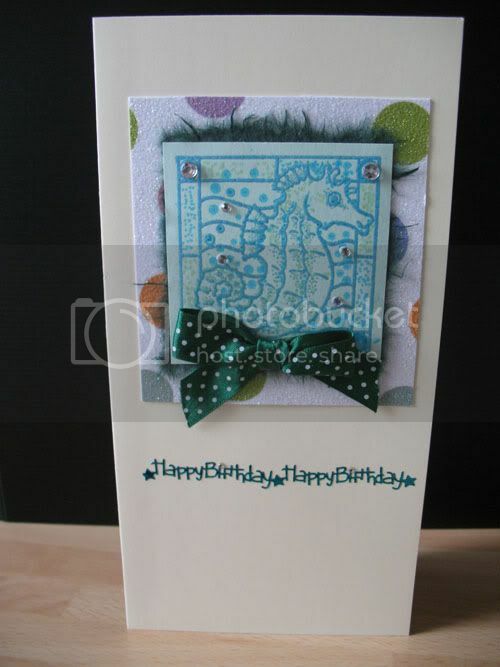 we have a Birthday Card, So Simple & Quick with the Topper Technique. 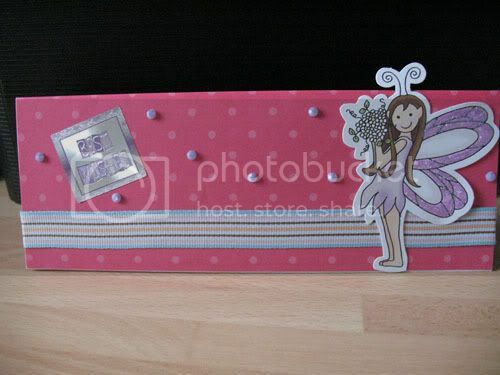 This entry was posted on 21.8.07 and is filed under No Stamping Cards . You can follow any responses to this entry through the RSS 2.0 feed. You can leave a response, or trackback from your own site. Gorgeous collection. 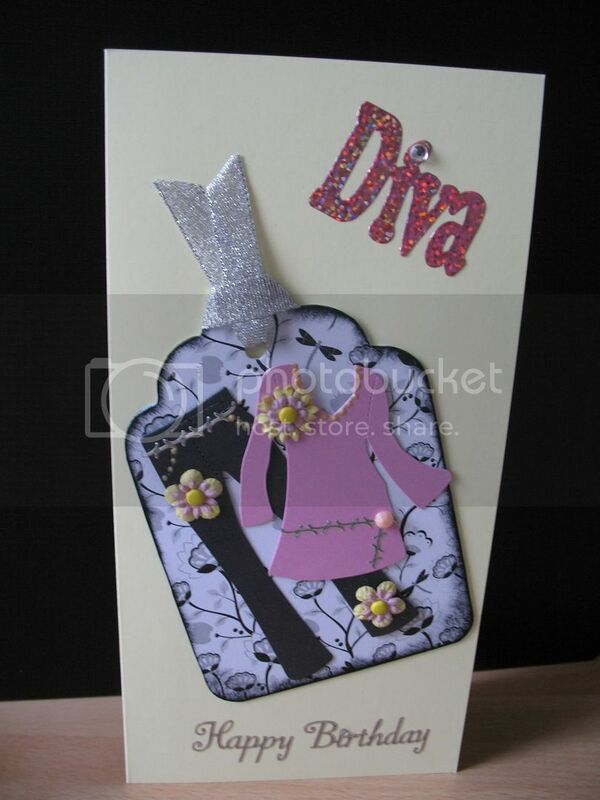 Love the diva card. Fit for any princess or even a pixie..lol!